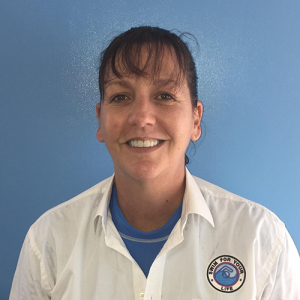 Hi and welcome to Swim For Your Life, I am Ruth Smith and I am a Passionate Swim Educator I work in conjunction with Tamara Flick, Ellen and Val, All who are very experienced swimming instructors. Tamara Flick – some children call her Tomato. Tamara who has also been teaching swimming lessons in the local area for 8 years and is Austswim qualified. Growing up in the area she is well known and has a family of 4 of her own. Tamara loves to see the children progress and move onto more challenging classes. She loves seeing their confidence in the pool grow and affect other areas of their lives. Her expertise include Learn to Swim and Mum’s and Bub’s. Tamara loves her job as she finds it rewarding. “ It’s like mowing the lawn. I can look back and see what I have done”. 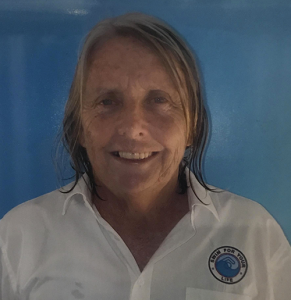 Val – has been teaching swimming for 25 years. Her expertise is Learn to Swim and Mum’s and Bub’s. Val also uses a small dose of ‘life-saving’ skills in her lessons. Val loves to see results in the children’s swimming which make the children smile. Val also likes making opportunities for community interaction at the pool. Ellen – has been teaching for 15 years. Her expertise spans across Learn to Swim, Mum’s and Bub’s, Competitive Strokes, holds her Bronze Medallion and is an Austswim Assessor. Ellen has stated that she enjoys teaching swimming because she enjoys teaching such an important life skill which is learnt for life. 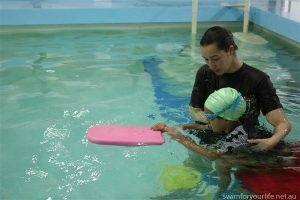 Ellen also enjoys seeing the discipline required by the children to learn to swim and the rewards they receive in their progression. 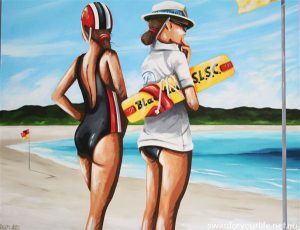 I was one of the first women competing in the Surf Life Saving carnivals back in the 80’s when they allowed woman to get their Surf Bronze and patrol the beaches with the men. I was also one of the first female Beach Inspector’s employed by the Council on the north coast. As a competitive swimmer while at school I made state level. Dabbled in synchronized swimming, played lots of water polo, wished at times I was born with gills and repeatedly watched Finding Nemo. On a serious note, I enjoy the reward of teaching and watching people swim well. I don’t mind if they join the surf club, water polo team, synchronized swim team,compete for their school and country or just enjoy swimming for recreation, I am passionate about getting kids in the water and developing their love for it. Swim For Your Life intends to embrace all who want to learn to swim well, including adults, people with disabilities, and those requiring stroke correction. I look forward to providing you with quality swimming lessons your support and many conversations.